The 40th Biel International Chess Festival will be held on July 21 – August 3rd in Biel, Switzerland. The festival will consist of Grandmaster, BrainStore Master, General, Rapid, Blitz, Chess-Tennis and Vinetum Yough tournaments. In addition, several simultaneous exhibitions will take place, one of them with Magnus Carlsen. The main invitational Grandmaster tournament will take place on July 23rd – August 2nd. After years of 6-player double round robin, the organizers have decided to change the format and make it 10-player single round robin. 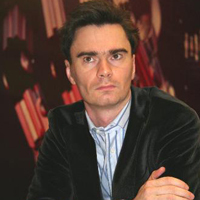 Three-times Biel winner GM Alexander Morozevich has canceled his participation due to health reasons. 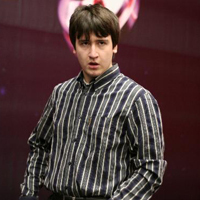 He also wants to dedicate more time to his preparation for the World Chess Championship, which will be held in September. Another World Championship participant, Alexander Grischuk (RUS 2726), agreed to play, and Biel will probably be his general test before Mexico. 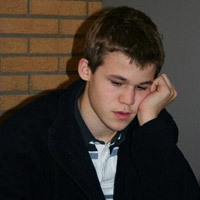 Top seeded is Teimour Radjabov (AZE 2746), who tied 2nd place with Magnus Carlsen (NOR 2710) at the last year tournament. Magnus is also back for his 3rd consecutive participation, and this time he is to be considered as one of the main first place contenders. Judit Polgar (HUN 2707) is closing the list of 2700+ rated players. 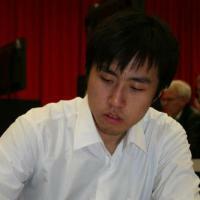 Bu Xianghzi (CHI 2685), 2nd best rated Chinese player, continues his European tour. Maybe his performance in Biel could finally launch him to the exclusive 2700 club, where he surely belongs. Audience favorite, flying Dutchmen Loek van Wely (NED 2679), will have many decided games, if nothing else. The list of players is being concluded with former Ukranian Alexander Onischuk (USA 2650), Alexander Motylev (RUS 2648), Boris Avrukh (ISR 2645) and Yannick Pelletier (SUI 2591). 11-round swiss system BrainStore Master Tournament is taking place on July 23rd – August 3rd. Traditionally fantastic prize fund, this year CHF 43.000, is attracting huge number of strong Grandmasters. 25 of them have already sign up, most notable names being young guns Parimarjan Negi (IND 2515), Ian Nepomniachtchi (RUS 2602), last-year winner Bartosz Socko (POL 2641), former main tournament participant Christian Bauer (FRA 2629), famous commentator Sergei Shipov (RUS 2592) etc. For more information on these and other events, visit the official website.